If you enjoy puzzles you are going to love Can you connect ? Blob Puzzle. Get ready to spend endless hours of enjoyment along with this free and fun puzzle game. Can You Connect ? 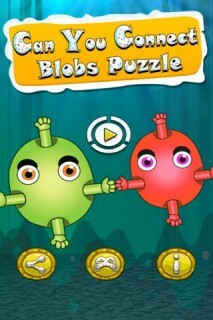 Blob Puzzle is a amazing brain puzzle game . The rules are very simple, you have to connect all blobs to each other in right way to finish the gamestage. 1. Smooth game play . 2. Puzzle ranges from simple to extremely hard. 3. Simple and addictive .